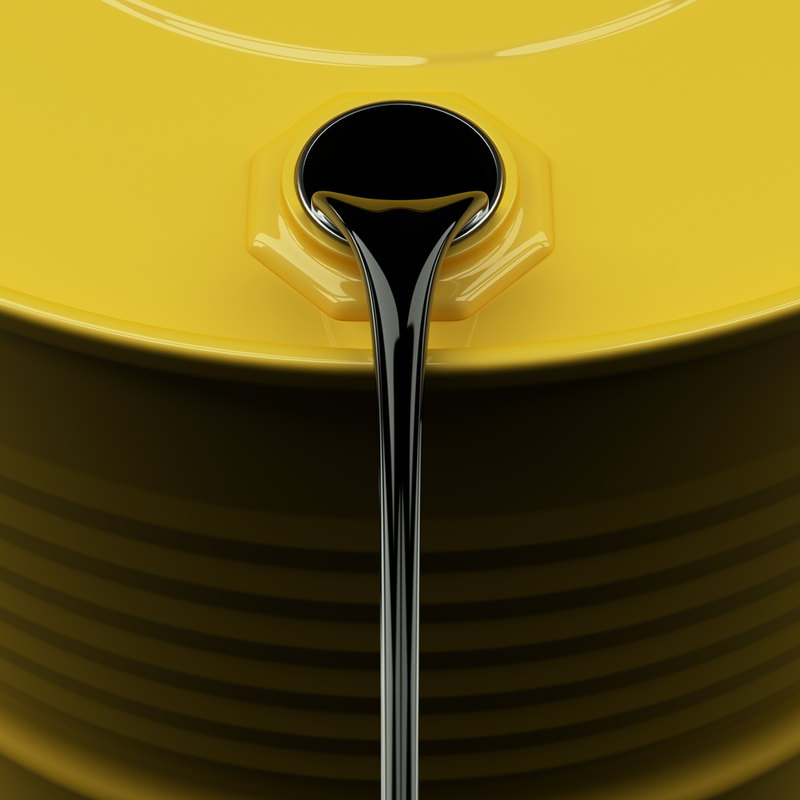 The era of cheap oil is over, declares Angelos Damaskos. In this interview with The Energy Report, the principal adviser of the Junior Oils Trust says that oil will become progressively more expensive to find, with prices topping the all-time high of $147 per barrel within 10 to 20 years. He counsels that investors should avoid the majors (too stodgy) and the pure explorers (too risky) and should instead choose producers or near-producers, highlighting five companies with good reserves and room to grow. The Energy Report: You are the principal advisor of the Junior Oils Trust. What are the advantages of junior oil companies? Angelos Damaskos: When we set up the Junior Oils Trust in 2004, we believed in the development of a supercycle in energy. China was in the early stages of industrialization and urbanization, and would thus require increasing volumes of oil. At the time, new discoveries of oil were scarce and much smaller. We wanted exposure to what we believed would be rising oil prices, and thought the best way to do so would be to invest in companies that focused exclusively on finding and producing reserves of oil in safe political territories. The main thesis of my investment philosophy was to acquire a lot of reserves in the ground that could be brought to production with a growing rate, managed by competent and experienced teams that would continue to explore and develop these resources and add to production profiles. TER: What are the disadvantages of the oil majors? AD: The integrated majors typically carry more than half of their balance sheets in activities such as storage, transportation, chemical processing, refining and distribution, which do not benefit from the rising oil price. The juniors are more agile and entrepreneurial. They are more efficient and better able to discover new sources of production. TER: Which factors determine the price of oil? AD: The price of oil is clearly supply and demand driven. It spiked to $147/barrel ($147/bbl) by 2008 and then dropped precipitously throughout the financial crisis. The past three years have seen rather stable trading, at least for Brent, which has traded from $100–120/bbl. TER: Why the spread between Brent oil and West Texas Intermediate (WTI)? AD: The Brent price governs the European, North African and Asian crude market, including the Middle East. WTI generally dictates the pricing of American crude. America has seen the huge development of shale oil and gas in the last two to three years, which introduced a massive amount of new supply. It could potentially bring about U.S. energy independence in the next 10–20 years. On the other hand, Europe, the Middle East and North Africa have seen supply greatly disrupted by geopolitical instability. This began three years ago with the Arab Spring in North Africa and then spread to Syria and Iran. Now we have the conflict between Russia and Ukraine that could potentially destabilize the supply of gas through Europe, which gets more than one-third of its gas from Russia. TER: Some people claim that because fracking is so expensive and the returns from each well diminish so quickly, the amount of oil and gas it produces is likely to be quite short-term in nature. Do you agree? AD: Fracking is a very expensive business because of the process it employs. Fluids, sand and lubricants are pushed down a well hole with extreme pressure to break up the rock that hosts the gas and oil. As a result, these escape with great pressure, and even though there is very strong production for a few months, it declines very rapidly because there is no sustained pressure to maintain the production level. Therefore, the companies must add new wells, which drive the cost of production so much higher. Some analysts estimate that many of the shale gas fields have marginal economics of around $5 per million British thermal units ($5/MMBtu), roughly the price today. We need high prices for these deposits to remain economically viable. If, for whatever reason, the prices of oil or gas drop, many operators will be forced to suspend production. TER: How does the oils sands industry in Canada compare to fracking? AD: The oil sands produce very heavy oil. Very low viscosity, very bituminous. It's effectively a mining process: The sands, which are mixed with oil, must be dug out, boiled and then chemically processed to remove impurities before refining. Heavy-grade oil is not really suitable for petroleum products. It is suitable for asphalt, lubricants and other industrial products. Like fracking, it's a very expensive and inefficient process that requires large energy inputs and high prices to remain economically viable. TER: How high must the oil price be to support oil sands mining? 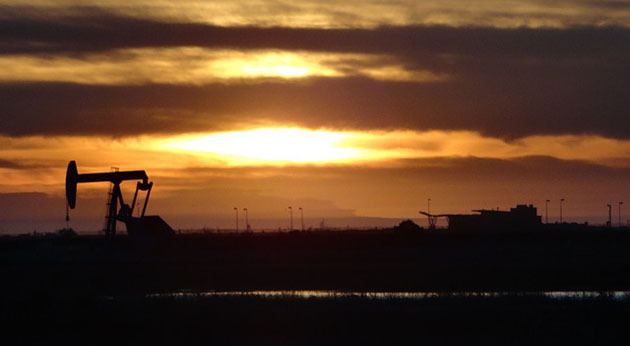 AD: We reckon the marginal cost of production to be $70–80/bbl. Operators need at least $100/bbl to make a satisfactory return and continue growing operations. The massive development and production of shale oil and gas has hit the oil sands operators very hard. West Canadian Select has been trading between $40–50/bbl for the last few months. That is not good enough. TER: It has been suggested that the price of oil is constrained, particularly after the economic crisis of 2007–2008, because high oil prices led to economic regression, which in turn led to lower demand. Do you agree? AD: I do not. After 2008, the Asian economies continued growing at rates that more than compensated for any reduction in demand from the developed world. This explains the recent stability in oil prices I mentioned earlier. Generally, prices have to rise significantly above $120–130/bbl to cause a reduction in demand. The world is so dependent on oil for its energy needs that even at higher prices, it's very difficult to cut back. We may drive a little bit less, but 80% of oil consumption is used by transportation fuels, shipping, aviation, railways and commercial trucking. These are essential for the economy to function. TER: Where do you see the price of oil going this year? AD: The demand for oil continues to grow based on increasing demand from China, other Asian countries and the developed world. Demand has grown significantly in the last couple of years in the United States, whereas supply, even though it has grown significantly in the U.S., has been severely constrained elsewhere. For the last two to three years, new supply from America has filled in the gaps from elsewhere. I don't see very strong U.S. or Eurozone growth, despite quantitative easing and all the liquidity pumped to the system. China's growth seems to have slowed down. That said, I expect 2014 prices for Brent to remain $100–120/bbl. 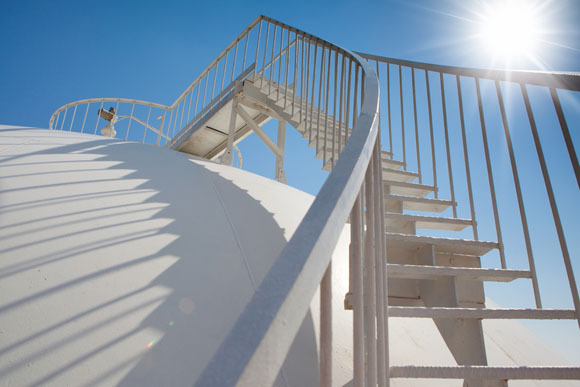 WTI is a different category because its price is at times dictated by the storage capacity at Cushing, Oklahoma, which is the giant storage center where many pipelines meet. The storage bottleneck there has been relieved by a couple of new pipelines. This has allowed WTI to close the gap with Brent. There's now less than $5/bbl difference between them; a year ago, the split was as high as $20/bbl. So WTI should trade from $100–120/bbl in 2014, unless the Russia-Ukraine dispute results in instability of supply from Russia into Europe. TER: Do you believe in "peak oil," in the sense that the era of cheap oil is over? AD: This is indisputable. Even considering the fracking breakthrough, the easy oil fields have been found and now we are reaching into deeper territory, into very high-depths offshore, into oil fields with much more complex geology that require much more complex technology. TER: Given the difficulty and expense of finding new oil sources, how high can we expect the price of a barrel of oil to go in 10–20 years? AD: We think that the price of oil will continue trending higher. 2012 saw on an annual average basis the highest-ever oil price. 2013 was only a couple of dollars lower, and 2014 should be higher than that. In 10–20 years, oil should be well above the 2008 high of $147/bbl. TER: Your Junior Oils Trust stresses the need to "avoid political and pure exploration risks." Which regions in the world are risks to be avoided? AD: We have avoided Russia and the former Soviet Union republics, such as Kazakhstan, Uzbekistan and Tajikistan. Elsewhere in Asia, we have avoided Kurdistan, the northern Iraqi territory bordering with Turkey. In Africa, we have avoided Uganda. In Latin America, Venezuela and Argentina. The rule of law and title of ownership are the most important things in the oil business because if you find oil, having your hard-earned dollars confiscated is the worst possible outcome. TER: Which jurisdictions do you like best? AD: About a quarter of our investments are in the U.K. North Sea and Norway. Among the rest, we focus on East and West Africa, particularly offshore developments that carry less potential for political intervention. We like Australia, Indonesia and the South China Sea. In Latin America, we like Colombia, which is emerging as a major oil-producing region. TER: What are "pure exploration risks," and how can they be avoided? AD: By pure exploration risk, we mean companies very early in their development stage, companies that have secured licenses but require significant seismic processing to assess the likely targets before drilling them to find what lies beneath. Exploration is a very risky business. The odds for success are typically 8:1 against the explorer. Companies with exploration potential only can either have an amazing result, in which case their share price will multiply several times over, or they can have unsuccessful well results, which blow huge holes in their balance sheets. TER: Which criteria distinguish less-risky junior oil companies? AD: Companies that have found resources that can be produced economically, companies already producing or working toward production. We also prefer companies to allocate funds to exploration drilling, either on the fringes of what they have found with the aim of adding to their reserves, or in new territories where an unsuccessful result will not be catastrophic. TER: To what extent is future oil production dependent upon the success of oil juniors? AD: To a very large extent, because the oil juniors typically are the first movers in virgin territories. TER: Which junior oil companies are you most fond of? 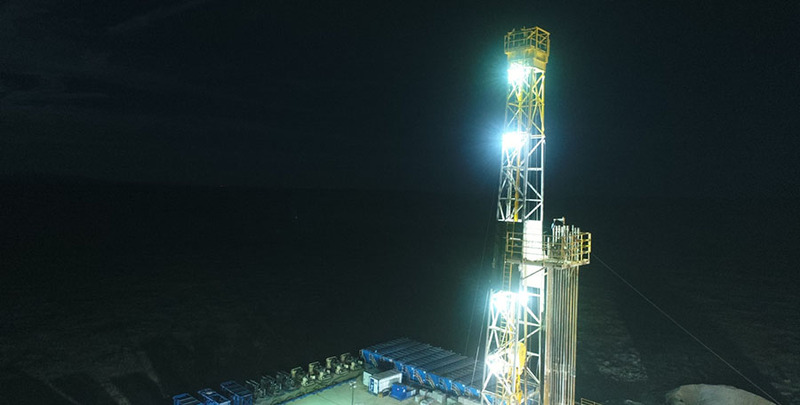 "Caza Oil & Gas Inc. controls large acreages in Texas, Louisiana and New Mexico, and holds a very large database of geological mapping and seismic-processing results." AD: Caza Oil & Gas Inc. (CAZ:TSX; CAZA:LSE) is listed on both London Stock Exchange and the TSX. It controls large acreages in Texas, Louisiana and New Mexico, and holds a very large database of geological mapping and seismic-processing results. That enables them to identify lower-risk drilling candidates. Caza keeps getting good drill results, adding to their production. It has just exceeded 1,000 barrels of oil per day (1,000 bbl/d) and is targeting to grow to 2,000 bbl/d in the next 12 months. For companies such as this, there can be a significant valuation uplift as it develops its resources and grows its production. In America, for similar companies, the metrics can vary from about $30,000 ($30K)/ flowing barrel for companies that produce less than 1,000 bbl/d to $60–100K/per flowing barrel for companies that produce over 2,000 bbl/d. TER: Do their properties in New Mexico demonstrate the possibility of a significant increase in production? AD: We think so. They have had some excellent results announced recently, with much stronger flow rates than expected. They have always been confident that the average result of their wells will be better than forecast. TER: What do you like in Africa? AD: One of the few companies in our portfolio without current production is FAR Ltd. (FAR:ASX). It operates in Kenya, Guinea Bissau and Senegal. Because their targets are primarily offshore, the wells would be expensive: $80–100M, too much money for a company of this size. But the company has been extremely successful in securing partnerships with midcaps to fund exploration drilling. Its strategy is to be fully carried for the exploration span, and if the result comes in positive, it's going to be phenomenal, leading to a high multiple of valuation. If unsuccessful, the company could write off the target, but it hasn't lost anything in terms of monetary value and still controls the license. TER: How low must juniors keep their failure rate in order to survive? AD: That depends on existing production and sustainability. If the company has a solid asset with material reserves that keeps producing and delivering positive cash flow, it can afford an unsuccessful exploration program. Companies that depend exclusively on exploration success for growth and production cannot afford many unsuccessful wells. TER: Can you give an example of a junior you like despite recent exploration reversals? AD: One of our bigger holdings is Salamander Energy Plc (SMDR:LSE). It focuses on Indonesia and has had a fairly poor drilling record for the last three years. It has been unlucky, or perhaps it misinterpreted its targets. But because of the company's very strong asset base, which features growing production and increasing reserves, we have recently increased our position in Salamander. If Salamander's exploration luck changes, all the better, but we feel now that the company's valuation is supported by free-cash generation and by the existing value of its field. TER: Are Caza, FAR and Salamander likely takeover targets? AD: Yes, all of them are. It is the nature of the oil business. In the 10-year history of our fund, we have had more than 20 core holdings taken over. We like to say that we invest in the oil giants of the future. TER: How much of a takeover premium do investors in these juniors receive typically? AD: It is always related to the market price. The typical premium can vary from 30–60%, but if the takeover occurs in a period of depressed market conditions, like now, it's not a very satisfactory event for us as investors. But even a less-than-spectacular takeover price means that investors can monetize their position at a significant premium and then circulate that capital to other companies that might become takeover targets in the future. Another problem engendered by depressed market conditions is that it becomes more difficult to negotiate terms for project investments. For example, if a company is capitalized at $100M and discusses a $100M farm-in agreement with a larger company for one of its assets, the larger company is likely to ask why it should spend $100M to control one part of the smaller company instead of buying the small company outright. TER: Are there any other junior oil companies you'd like to mention? AD: Parex Resources Inc. (PXT:TSX.V) produces approximately 17,000 bbl/d out of Colombia. Growth has been rapid indeed: up from 10,000 bbl/d in less than a year. They should exceed 20,000 bbl/d this year. With a market cap of about one billion dollars ($1B), this makes for a very attractive valuation. Even though Parex shares have risen significantly in the past year, it probably trades at around five times prospective cash flow, a very attractive metric. This is a company that has delivered sustained successful exploration results that keep on adding to reserves. It's a very well-managed company in an attractive region. TER: You mentioned your fondness for the North Sea earlier. What do you like there? AD: Parkmead Group Plc (PMG:LSE). It is run by Tom Cross, with whom our fund had a long relationship through his previous company, Dana Petroleum. 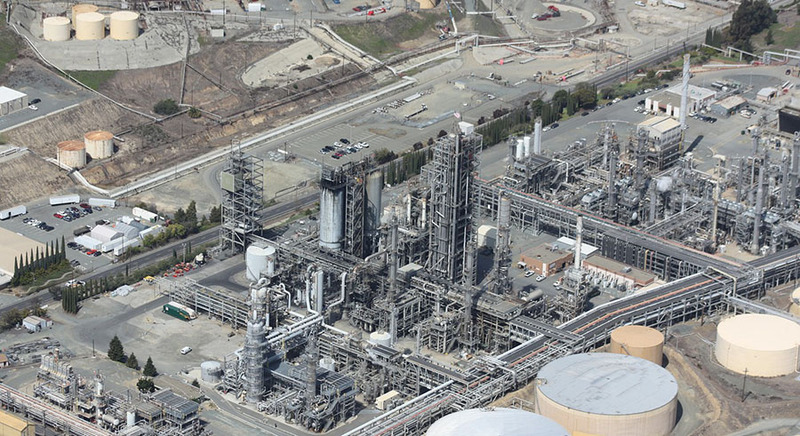 Dana grew from a small early-stage company, which Parkmead is now, to a midcap with production of 40,000 bbl/d. It was bought by Korea National Oil Corp for $1.8B in 2010. With Parkmead, Cross is following the example he set with Dana, focusing on fallow assets that have been abandoned by the majors and on new licensed areas that can be developed with relatively low capital expenditure. Cross has been buying some of his smaller peers that have been unable to progress their projects in a weak market environment. He has even managed to acquire significant production. Parkmead is now a mix of production and development, as opposed to the pure development company it was a couple of years ago. TER: Given how risky the junior oil business is, what should potential investors be looking for in companies? AD: They must focus first on the reserves, what companies actually control of those reserves, and how economically viable a project is. It is not much use having a vast deposit of oil stuck somewhere that's either extremely difficult to access or in a politically unstable region. Management teams should have expertise not only in the territory, but most importantly in the geology and the type of reservoirs they control. A competent management team is much more likely to continue exploring and adding to the resources of the company. TER: Angelos, thank you for your time and your insights. Angelos Damaskos is the founder and CEO of Sector Investment Managers Ltd. of London, a regulated investment advisory company. He is the Principal Advisor of the Junior Oils Trust and the Junior Gold Fund. The Junior Oils Trust focuses its investments in smaller oil and gas exploration and production companies. An investment banker, Damaskos worked a decade for the European Bank for Reconstruction and Development. He holds a BSc in mechanical engineering from the University of Glasgow and an MBA from the University of Sheffield. 2) The following companies mentioned in the interview are sponsors of Streetwise Reports: Caza Oil & Gas Inc. Streetwise Reports does not accept stock in exchange for its services. 3) Angelos Damaskos: I own, or my family owns, shares of the following companies mentioned in this interview: None. I personally am, or my family is, paid by the following companies mentioned in this interview: None. My company has a financial relationship with the following companies mentioned in this interview: Caza Oil & Gas, First Australian Resources, Salamander Energy, Parex Resources and the Parkmead Group, as they are holdings by the Junior Oils Trust, a fund that we advise. I was not paid by Streetwise Reports for participating in this interview. Comments and opinions expressed are my own comments and opinions. I had the opportunity to review the interview for accuracy as of the date of the interview and am responsible for the content of the interview. Want to be the first to know about interesting Oil & Gas - Services and Oil & Gas - Exploration & Production investment ideas? Sign up to receive the FREE Streetwise Reports' newsletter. Want to read more about Oil & Gas - Services and Oil & Gas - Exploration & Production investment ideas?